The World Boxing Council has postponed the purse bid for Deontay Wilder’s rematch with Tyson Fury until February 12th. 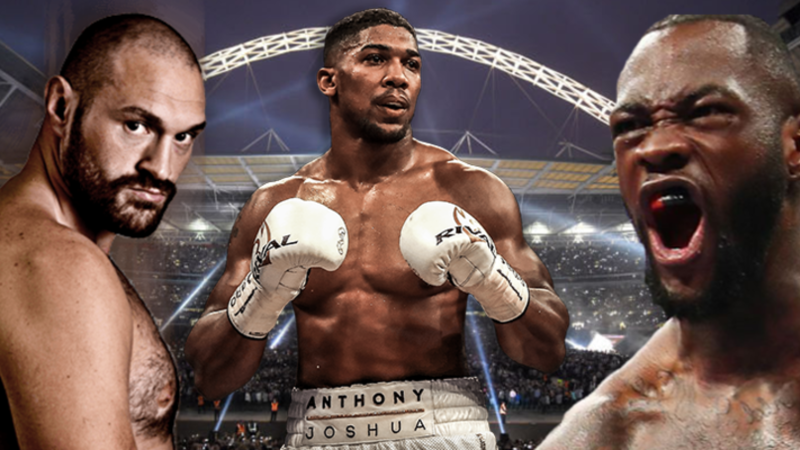 Meanwhile, despite his promoters booking Wembley Stadium a half year in advance, Anthony Joshua has failed to secure an opponent for April 13th at the 90,000-seater venue. Let us look at the panorama – a unique cocktail of three heavyweight world champions who are all undefeated and approaching their zenith together. Even when seen separately, each is a Titan. Try to imagine what it was to host Ali and Foreman in Zaire 1974. Pockets of Africa were trying to shake off their colonial imprint; others were still fighting imperialism. Decades later, not even the peacemaking efforts of Nelson Mandela were able to mediate between Mobutu Sese Seko’s and Laurent-Désiré Kabila. Eighteen years since Mobutu’s passing we’re reminded of non-partisan sporting diplomacy. In 2019, we’re on the cusp of a potentially divisive episode in Nigeria’s history. This week’s election will affect near-200 million Nigerians, and its repercussions felt throughout the Continent. What a time to aspire to unity. A time to create an event to embody unification’s self-regulation. 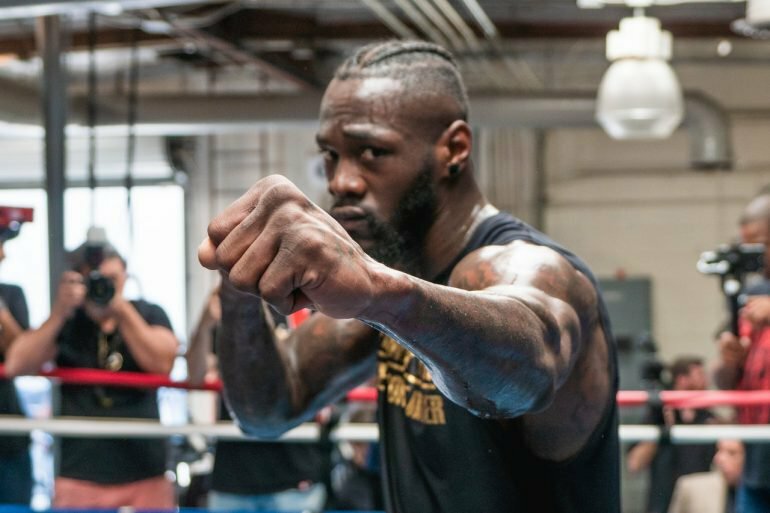 That is why I am throwing the gauntlet of destiny to the feet of three Titans – Deontay Wilder, Tyson Fury, and Anthony Joshua. I invite them to fight each other in an epoch-making tournament hosted by Nigeria. Three scenes comprising the second act of a play introduced by Ali and Foreman in modern-day DR Congo. Three nights of boxing scheduled in relatively quick succession this autumn staged in Port Harcourt’s Adokiye Amiesimaka Stadium, Jos International Stadium, and Lagos National Stadium and televised to the world – a witness to a destiny whose wave has reached the shores of its realization. We owe our destiny to those who have gone before: our forefathers. 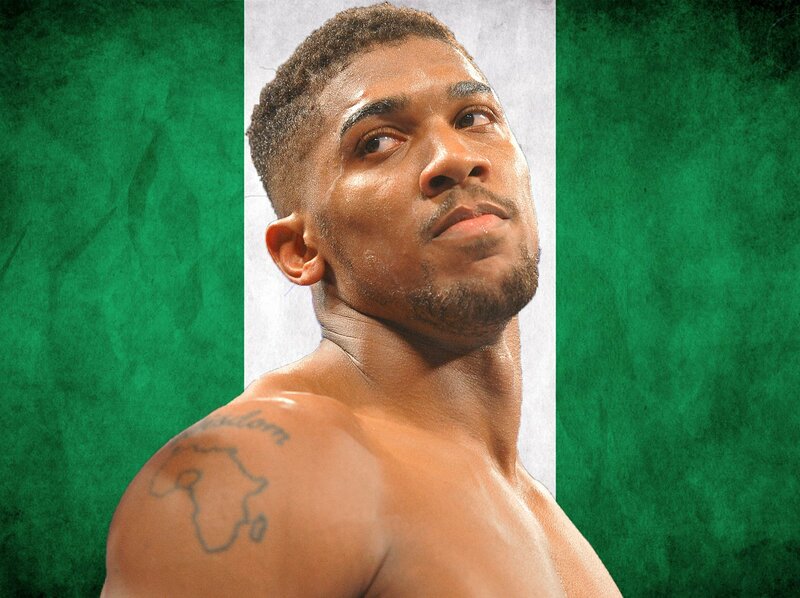 Anthony Oluwafemi Olaseni Joshua, an Egba from Ogun State, in southwest Nigeria, is a Titan who his allegiance, and guiding force, on his right sleeve. His triumphs have inspired a resurgence in Nigeria’s domestic boxing scene, which had been in the doldrums since the Nation’s independence. Boxing was, at one time, Nigeria’s national sport. Joshua represented Great Britain in the 2012 Olympic games, emulating the feat achieved by Cassius Clay in Rome 1960 by winning gold. In the UK Joshua is a media starlet, but only a Nigerian has the eyes to see his stars of destiny; he is a Star that will return to Nigeria as its most famous prodigal son. When Deontay Oluwaseun Wilder posted a breakdown of his ethnicity on Twitter, it shed light on the regalia he wears for ring walks. Wilder is descended from the former Kingdom of Benin, which stretched from east of the River Niger, near the border of modern-day Cameroon, all the way to modern Ghana. Born in Alabama, Wilder’s remains connected to the lands of his ancestors – his reputation reminds the world of the struggles and humiliation of great people. This Oba of Alabama was named Deontay, Dios of Zeus; Zeus god of Thunder. Tyson Luke Fury was born prematurely weighing little more than 1lb and resuscitated by his father on a day of a mighty thunderstorm. Today he is a man who walks in his faith, proud of the lineage of Irish travelers from which his family come. Throughout his life, the self-styled Gypsy King has always represented what it means to win against the odds. If Tyson Fury’s way of life seems unplanned, then perhaps we can surmise that his life is unfurling according to a divine plan? His calling was revealed at his first breath as if an Angel traveled to the moment when a tiny son was cradled in the arms of his father, John, and whispered: Tyson. 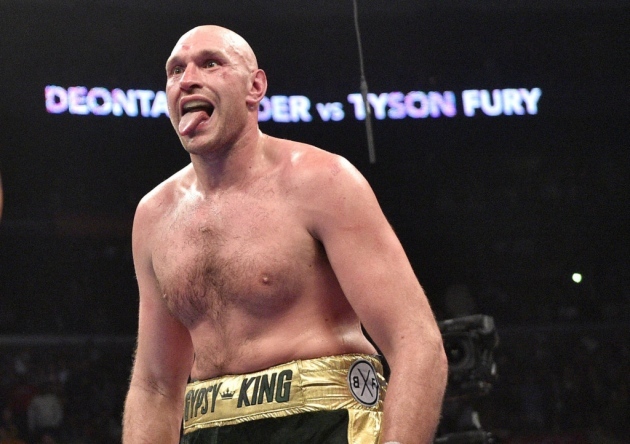 He was named in honor of the most efficacious boxer of the era, one who compressed and channeled anger’s energy – it is an exquisite irony that Tyson Fury’s compassion and heart-led courage is already outshining the former champion, his namesake. Organized in a tripodal format, Fury v Wilder v Joshua would inspire the attention of the whole of Africa and hundreds of millions besides. As well as being the greatest in boxing history, the combined revenue of this proposed tripleheader has the potential to equate to half that generated by the quadrennial Olympics. During a press conference last year, Fury suggested that the $50m Joshua allegedly snubbed when offered to fight Wilder was enough to change the fortunes of a small country. This might have been far-fetched, and even by the standards of Nigeria’s wealth, circa. $2bn represents only a percentage of the oil wealth stolen by leaders since the three boxers were born. South Africa demonstrated tremendous leadership by hosting the Rugby World Cup in 1995 and the FIFA World Cup in 2010. Now it’s Nigeria’s turn to complement these achievements, and build upon our common calling. Let Africa take pride in hosting a tripleheader – an event that cannot happen with as much meaning anywhere else. The world is watching. The Titans, have the power to transcend the antagonism of sponsors, promoters, and broadcasters. They will decide. The world will know. And maybe they will show a world that’s unraveling to fractionations, a better way. Nine months is enough time to conceive new life and for it to be delivered. I believe we can realize Titans in Africa in eight. I have faith that Nigeria will host the three fights that bring an end to all fighting. The Star, the Oba, and the King need only look to Muhammad Ali for assurance. Maybe the belt given to the next boxing legend has hung over Africa since that memorable night in Kinshasa, waiting in suspense for its echo to reach the shores of an auspicious moment, the cusp of a renewed age. Waiting, not for the invincible, but the humble. Olisaeloka Peter Okocha Jr. known for his Niger Delta remediation initiatives, is the co-founder of Nigeria’s groundbreaking Aeroponics farm. He studied at the University of Chicago and the University of Edinburgh respectively before returning to Lagos a decade ago. Listed amongst the 10 most powerful young Nigerians under the age of 40 who are getting things done in the field of big business by YNaija in 2018, Okocha Jr. believes that the continent’s balance will return only when the world looks Africa in the eye.